If all 5 parts of your life aren’t working together, then you’re not really wealthy. And James knows what he’s talking about because he created a $10 MILLION company that hit the Inc. 500 list in 2009 as one of the fastest growing privately held companies in the United States. Now this is someone that you definitely want in your circle. Now James is back again overcoming his extreme adversity to teach you and others how to do the same. Lisa Nichols was a struggling single mom trying to make ends meet while on public assistance. Being unable to see the light at the end of the tunnel, something had to give. Luckily, she was able to discover her untapped talent and realize infinite potential. Today, Lisa is a millionaire entrepreneur. Lisa’s rags-from-riches story mirrors some people’s experiences. Unfortunately, many are still living paycheck-to-paycheck and unable to dig themselves out of financial worries. Others may have already jumped on the entrepreneur bandwagon but just can’t seem to break even or get their company to a point of financial freedom. Still others are just looking for a way to maximize their wealth. Could this be you too? Are YOU READY to Manifest True Wealth, Abundance and So Much More? Imagine being given simple solutions designed to help you gain wealth in both your personal and professional life. WAN Global, LLC is doing just that by offering a life-transforming event that you don’t want to miss. Lisa Nichol and James Arthur Ray – both world-renowned speakers/trainers/coaches, and New York Times bestselling authors; both stars of the hit movie documentary "The Secret" – PLUS a fantastic lineup of speakers will be sharing their experiences. 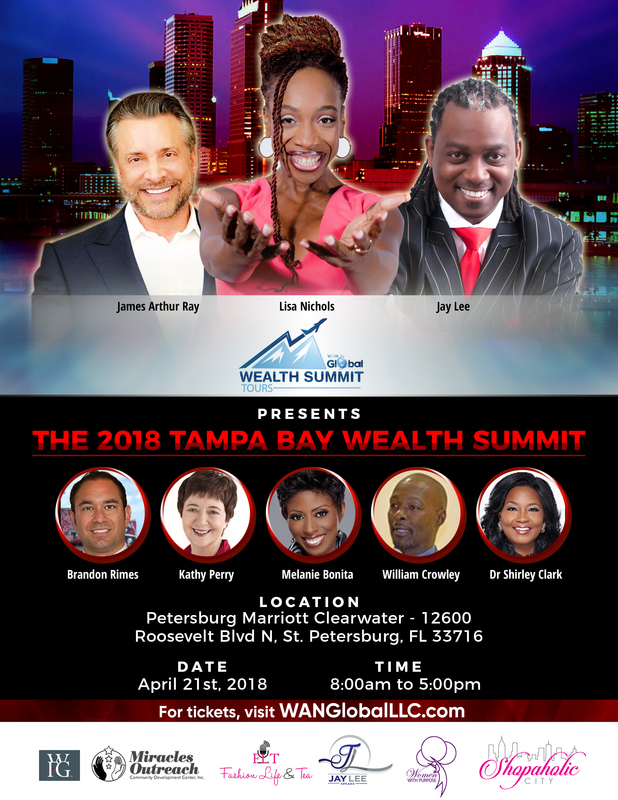 Join us for the upcoming 2018 Tampa Bay Wealth Summit happening on April 21, 2018 in St. Petersburg, Florida. Get your tickets to this transformational event today before it’s too late. Choose general seating or take advantage of the best deal and opt for VIP tickets with red carpet treatment, reserved seating and lunch with James, Lisa and other speakers. We also offer special pricing for groups. Not in the Tampa Bay area? No worries! You can still view the entire Wealth Summit by pay-per-view. This life-transforming event is guaranteed to provide key tools and effective strategies to help you obtain the wealth you deserve for you and your family. 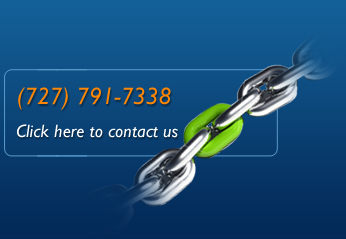 It’s perfect for business owners, entrepreneurs and companies. We're looking forward to meeting you at this phenomenal event! P.S. Act fast because this life transformation event is sure to sell out! Tickets are limited. Live Your Life as Though Your Life Depends on It!